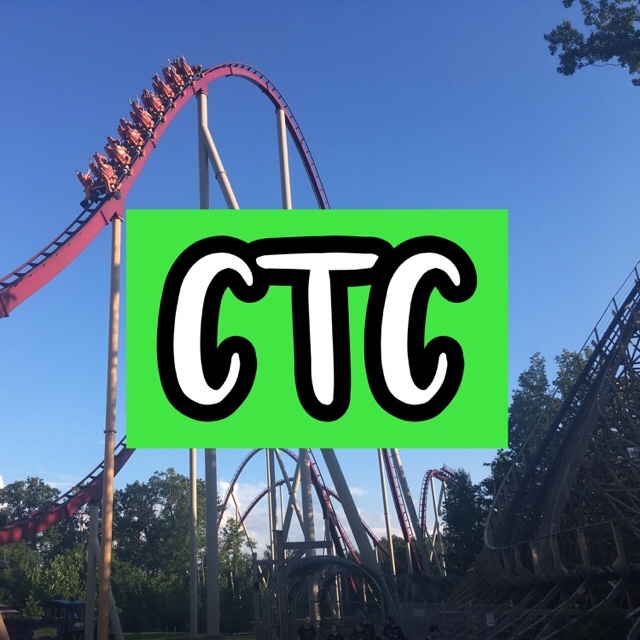 Coasterstock at Kings Island is a 2-day event for coaster enthusiasts to ride roller coasters with exclusive ride time, enjoy meals, FunPix with unlimited downloads on select rides, Coca-Cola drink wristband with drinks every 15 minutes, and more! This event is the 4th-annual and will take place on Friday, May 18th to Saturday, May 19th! A t-shirt and lanyard and free parking are also included! Tickets are $41 dollars for Gold and Platinum Passholders. People without a season pass have to purchase their ticket for $81 which includes admission to the park for both days! First off, the event starts at 6:30 a.m. (check-in), so I recommend if you live at least 2 hours away that you should stay overnight on Thursday. You also will have to stay overnight on Friday and Saturday due to the event ending at 12 a.m. each night! This event is reserved for these coaster clubs as this is an event for dedicated coaster enthusiasts, it is not designed for anyone to just “show up”. You MUST have proof of purchase for your coaster club like a membership purchase printout or a valid up-to-date coaster club card. If you’re a last minute purchaser, you still need proof of purchase. ERT 8:30 – 10:00 a.m. on Adventure Express, Delirium, Drop Tower, Invertigo, Bat. Behind-The-Scenes Banshee photo opportunity 10:00 – 10:45 a.m.
Behind-The-Scenes photo Racer and Firehawk photo opportunity 3:00 – 4:00 p.m.
Behind-The-Scenes Diamondback photo opportunity 5:00 – 6:00 p.m.
Story behind our steam trains behind-the-scenes tour 8:00 – 8:45 a.m. Lights on Walk-Through of Flight of Fear 9:00 – 9:30 a.m. Beast behind-the-scenes tours 1:00 – 3:00 p.m.
12:00 a.m. Coasterstock Photo Contest, Scavenger Hunt and Social Media Rock Star winners announced. There are also several contests involving photos and social media, which more information can be found on the official event page. Tickets are now for sale. I suggest that if you are planning to go, you purchase a ticket now just in case that it sells out. Here is the official event page and ticket purchase website here: https://www.visitkingsisland.com/play/events/coasterstock. Pre-Check In is also available where you can have the t-shirt and lanyard shipped to your house so you don’t have to wait in line at Kings Island! PreviousMillennium Force at Cedar Point – The Future is Riding on It!